Home News Lehigh Valley Libraries Now Live on SPARK! Lehigh Valley Libraries Now Live on SPARK! We are please to announce that the Allentown Public Library, the Easton Area Public Library, and the Bethlehem Area Public Library are now live in SPARK! These are large, vibrant, forward-thinking libraries, and we are thrilled to have them. 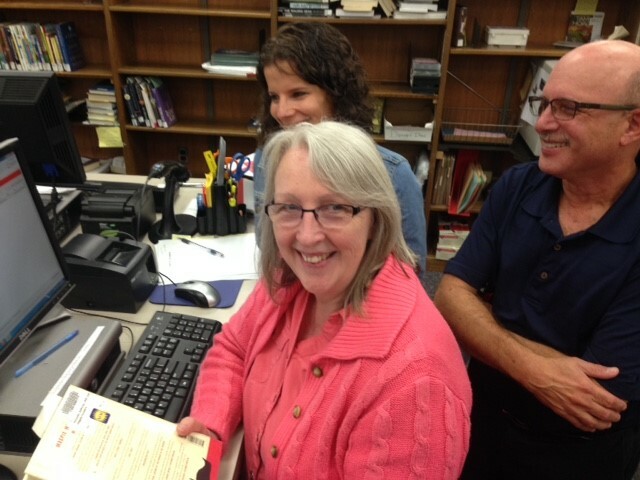 Dawn Fritz, Dan Solove, and Peggy Nichols from the Bethlehem Area Public Library check items into SPARK for the first time.